Showing results for "super nintendo"
Designed for the Nintendo Switch, Super Chariot is a 2D platform game that can be played through to the end in either solo or co-op mode. You play as either the brave Princess or her faithful fiance in a subterranean fantasy adventure. Release date: 18 May 2018. Suitable for the Nintendo Switch. You play as either the brave princess or her faithful fiance in a subterranean fantasy adventure. Play with a friend in local multiplayer on your nintendo switch in tv or tabletop mode. For ages 3 years and over. Super Smash Bros comes to the Nintendo Switch. Release date: 7 December 2018. This item is FREE delivery. Suitable for the Nintendo Switch. Join all your LEGO friends in Heartlake City in LEGO Friends on the 3DS. Embark on exciting adventures with the girls as you explore the amazing city. Shop for the latest outfits and accessories, choose the perfect hairstyle and even pick out a pet; Or you can go horse riding, dancing and much more, its always summer in Heartlake City. Suitable for the 2DS, New 2DS XL, 3DS, 3DS XL, New 3DS and New 3DS XL. This game works with Nintendo 2DS and Nintendo 3DS. For ages 7 years and over. Collect all your favourite characters in the Super Mario 4 inch line with up to 13 points of articulation. These authentic figures are sure to please kids and collectors alike with some of the most iconic Nintendo figures. Each figure comes with a secret power up accessory; Features Ice Mario with Ice Ball, Bowser Jr. With Paint Brush, Lakitu with Spike Ball, Inkling Girl with Blaster. Collect them all; Size H10.2cm. For ages 3 years and over. WARNING(S): Not suitable for children under 3 years old. Only for domestic use. To be used under the direct supervision of an adult. Featuring the iconic M, the Super Mario Premium Game Card Case stores up to 12 Nintendo Switch game cards and 12 micro SD cards. The compact case is extremely durable and easy to take on-the-go. Form-fitting rubber slots keep your game cards in place and a snap-closure keeps everything secure. Officially licensed by Nintendo. Stores 12 Nintendo Switch Game Cards and 12 micro SD cards. Form-fitting rubber slots secure Game Cards. Snap closure keeps cards secure. Size H15.2, W142, D2cm. (not included). Manufacturers 2 year guarantee. For ages 3 years and over. The biggest handheld Mario ever; Enjoy a nearly limitless supply of side-scrolling 2D Mario course, anytime, anywhere. Take on 100 built-in courses as you tackle the Super Mario Challenge. Release date: 29 June 2018. Suitable for the 2DS, 3DS and 3DS XL. Creating your own Mario course is as easy as doodling on a notepad. Combine familiar elements inc ompletely surprising ways to craft unique Super Mario levels. For ages 3 years and over. Argos.co.uk Super Mario Odyssey Nintendo Switch Game. 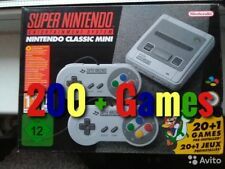 eBay Original Super Nintendo Console With 2x Controllers Great Condition! The Super Mario Brothers make their HD debut as traditional Mario side-scrolling gameplay get a massive visual boost, some great new features and the chance to bring your Mii into the fun for the very first time; This item is FREE delivery. Suitable for the Nintendo Wii U. Super Luigi U: In new super Luigi U take control of Marios brother Luigi as the 80+ stages from new Super Mario Bros. U gets a re-shuffle and a revamp. For ages 3 years and over. Official Nintendo pouch with Mario characters. Holds and protects your Nintendo Switch. Can hold up to 8 games. Holds up to 4 micro SD cards. Padded divider to protect screen with zippered mesh pocket for extra game cards. Size H16.5, W28, D5.5cm. (not included). Manufacturers 2 year guarantee. For ages 3 years and over. Free roam through an expansive LEGO-ized Gotham City, commandeering vehicles and interacting with citizens. Explore iconic locations like never before, on the ground or in the air, including Arkham Asylum, Wayne Tower, Ace Chemicals, Monarch Theatre and Wayne Manor. Suitable for the 2DS, New 2DS XL, 3DS, 3DS XL, New 3DS and New 3DS XL. This game works with Nintendo 2DS and Nintendo 3DS. For ages 7 years and over. FIFA 18 Nintendo Switch Game. Argos.co.uk FIFA 18 Nintendo Switch Game. Lumo - first time for Nintendo platform, and perfectly suited to Nintendo Switch. Release date: 24 November 2017. Suitable for the Nintendo Switch. Multi-award-wining game on Sony and PC platforms. The revival of the isometric adventure genre with a modern twist. Over 400 rooms to test your skill, plus six hidden mini-games. Enjoyable on all levels - a great adventure on the surface, layers of secrets hidden underneath. A true love letter to the golden age of gaming thatll warm your heart. For ages 3 years and over.